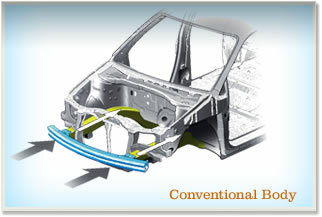 Henley Honda | Uncategorized | What is Honda's Advanced Compatibility Engineering™ Body Structure? What is Honda's Advanced Compatibility Engineering™ Body Structure? 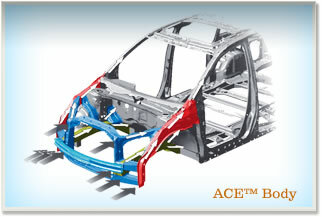 To put it simply, our ACE™ Body Structure is Honda’s safety structure technology and yes, you need it. Next time you’re driving, take a look around. The road is filled with several different-sized vehicles. With size variations from cars to SUVs to trucks, it’s not surprising to hear that statistics show that many of the fatalities in collisions involve a significant mismatch in the height or weight of the two vehicles. With that in mind, Honda engineers took to the drawing boards to create a body design to minimize the impact between mismatched vehicles on impact. In most conventional vehicle structures concentrates the energy from a collision almost exclusively through the two side frame rails. Not good for you on impact. Honda’s spreads out the force from a frontal impact to avoid that concentrated impact force. The body design redirects the force along the sides, bottom and top of the vehicle to save you from absorbing the concentrated energy, keeping you as safe as possible. Good thinking Honda engineers! You sure can! The Insurance Institute for Highway Safety (IIHS) named the Civic Sedan the 2013 Top Safety Pick in the compact car segment, and made this fantastic video to exemplify what happens in the event of a collision. It’s a bit better than testing it out yourself, don’t you think? Which Honda Vehicles have the Ace™ Body Structure? Ready to check out one of Henley Honda’s super safe vehicles? Click below to have our special offers sent straight to your inbox!